You may only know Steve Martin as an award winning actor and the guy who makes folks laugh on the TV and big screen, but apparently there’s more to his career that most don’t know about… He’s also an accomplished musician AND writer! In fact, his writing has earned him the honor of being named the “Library Lion” this week by the New York Public Library who will officially present him with the award at a black-tie gala this November. “The individuals we are honoring this November represent the very essence of distinction and imagination in their respective fields,” said Catherine Marron, Chairman of the Library in a statement. The NY Public Library is also awarding best-selling writers Malcom Gladwell and Zadie Smith, along with actor Ethan Hawke, with the “Library Lion” award. The winners were chosen based on “their contributions to the world of ideas” and will be honored on November 1st. 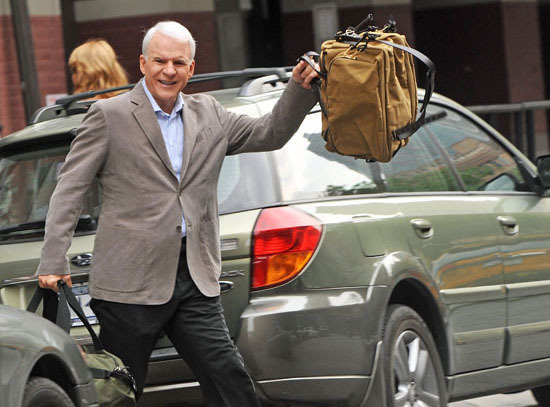 Meanwhile, today is Steve Martin’s 65th birthday. Happy B-Day Steve! !